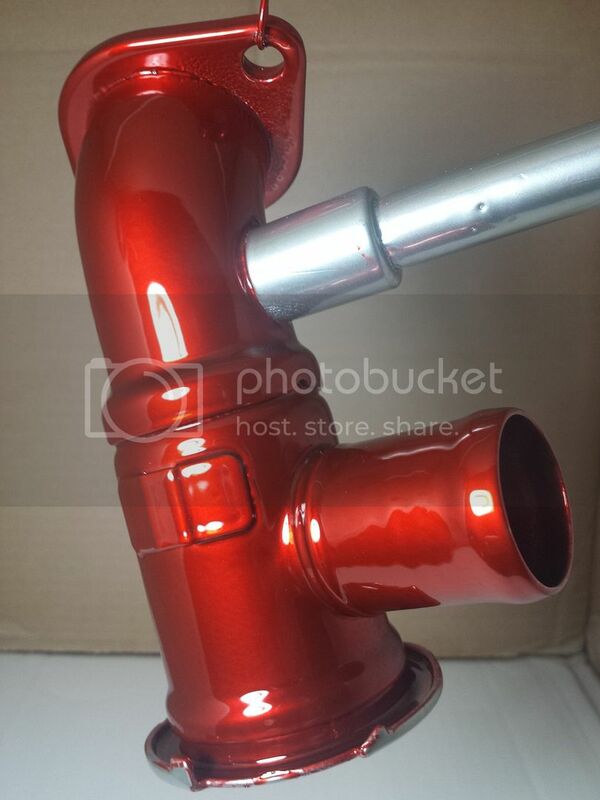 Thermostat housing small coolent pipes removed and welded closed then powdered in chrome and candy red with clear coat. Wow! That does look nice.